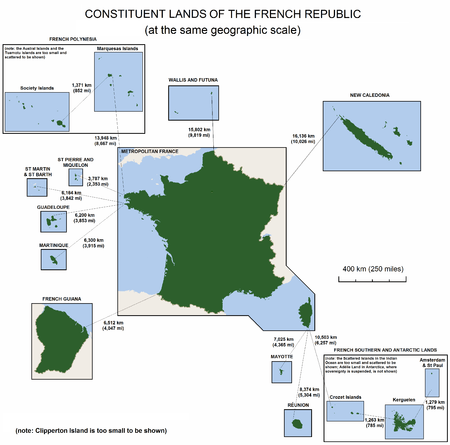 All French islands over 100 km², ranked by decreasing area. Île Verte. Green Island (uncertain sovereignty between France and Canada).